Apparently, I am not the only one using a helmet when driving my bicycle. My elder brother sent me the picture below, from a billboard in Tiruchi-India, where I did my undergraduate studies. PS. 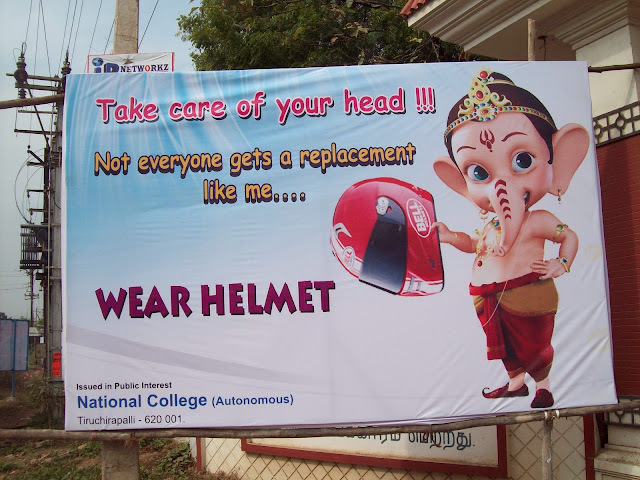 Apparently Ganesha likes Bell helmet. Whoda thunked? PPS. For the overly analytical, I know the helmet pictured looks more like a motorcycle helmet. TV Show with bicycles --- Yay!